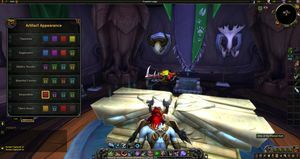 SKU: wow-165674-1 Mythic Raid Geared iLvL 379 Hunter | Mists of Pandaria Challenge Mode Gold Armor | Warlords of Draenor Challenge Mode Gold Weapons | Mage Tower Artifact Appearances | Well Geared AND Goodies! | Server Transfer, 30 Days Game Time & Lifetime Guarantee! 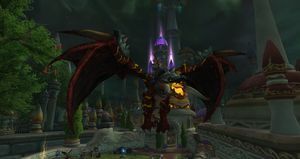 6/8 Mythic Uldir and very geared Hunter here! The easy mode est of easy modes = Beastmaster Hunter. Beast Mastery - Serpentbite and Marksmanship - Wildrunner! 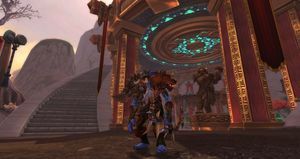 Mists of Pandaria Challenge Mode Gold with the Howling Beast Armor Set ! Warlords of Draenor Challenge Mode Gold with the weapons transmogs! Pretty awesome character very geared for current content and ready to go! 30 days game time, server transfer and lifetime warranty are added to purchase as well!